February 4, 2019 (Austin, TX) – Hawkins Parnell & Young is pleased to announce that Todd N. Wade has joined the firm in the Austin office. His arrival brings the firm’s number of Texas-lawyers to 18. 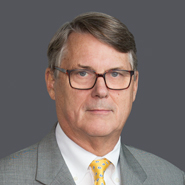 Wade brings more than 35 years of experience representing prominent corporations in high-stakes product liability, toxic tort, and commercial litigation. As lead trial counsel, he has tried 50 cases to jury verdict throughout the country. Wade received his Juris Doctor, with honors, and his bachelor’s degree, with honors, from the University of Texas in Austin. He is licensed in California and Texas.